Now available online! 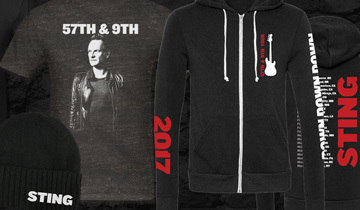 Check out the line of 57th & 9th Tour Merchandise. Tees, hoodies, hats, and more. Buy here.